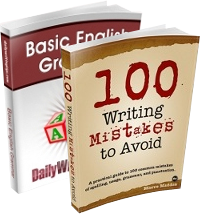 When an adverb or a phrase serving an adverbial function begins a sentence, the writer must take care not to introduce a simple punctuation mistake that erroneously associates that introductory word or phrase with the subject rather than the object. These three examples illustrate the problem and provide solutions. Eventually means “at some point in the future,” and this sentence expresses the writer’s sentiment that at some point in the future, he or she will hope. What the writer means, however, is that he or she hopes that at some point in the future, exploitation may occur. To accurately convey this meaning, “I hope” should either begin the sentence (“I hope that eventually, we’ll be able to exploit such opportunities”) or should be bracketed with a second comma to form a parenthetical (“Eventually, I hope, we’ll be able to exploit such opportunities”). This sentence reads as if the writer were attempting to mention that he or she and others will be certain at the end of the period stated, but if that were true, the sentence should read, “By the end of the quarter, we will be sure that productivity will improve.” More likely, however, the statement has the same problem as the first example. Again, the writer is erroneously associating the subject represented by the pronoun with the introductory phrase. The solution, as before, is to start with the subject (“They are confident that with some additional effort, he will be successful”) or to make the phrase containing the pronoun a parenthetical phrase (“With some additional effort, they are confident, he will be successful”). I had never thought about this before. I probably make this mistake all the time. Thanks! I’ll keep an eye out for it from now on. Commas have always been a little mysterious to me in certain uses. Can you tell me why, in the first examples of each of your solutions, commas are inserted? (“I hope that eventually, we’ll be able to . . .” “We are sure that by the end of the quarter, productivity will . . .”) My thought is that those statements are also parenthetical and need two commas: “I hope that, eventually, we’ll be able to . . . ” and “We are sure that, by the end of the quarter, productivity will . . . ” If I were writing those sentences, my preference would be to leave the commas out altogether. The use of commas seems to be changing and becoming more free form. Can you explain the rules that governed your use of the commas? Thanks. I would rewrite all three differently. I have the same concern as Nancy. In your corrected sentences where the adverbial phrase was moved to the middle, I would not have used a comma. @Danny: No, I don’t think that your version conveys the intended meaning. I’m not as good as Mark at dissecting and explaining it, but your version makes it sound as if he will be successful with some additional effort, like maybe he has another project going somewhere. The intent here is that in order for him to succeed, he needs to put forth additional effort, work harder, and they are confident that this will be the case; i.e., that with his input of additional effort (harder work), he will be successful. In your first example, you appear to be picking nits. Yes, you are technically correct. 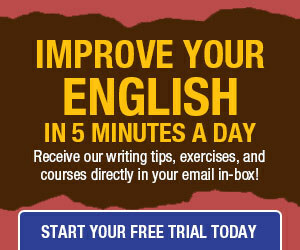 However, the sentence reads smoothly and the everyday reader fully understands what the writer meant to convey. Perhaps writers who become so correct that their writing becomes stilted, become uninteresting to read and may get left in the dust by advancing writers? Oh, this is such a great article. I really mean this: The three examples that were given are absolutely putrid! This is the general rule for sentences in English, so why not stick to it? An exception to this is the “periodic sentence” (used sparingly) in which the most important part of the sentence is saved until its end – for justifiable emphasis. (Most people say “Duh?” at the very concept of a periodic sentence. For people who know about the history of the 20th Century, the “so few” of Churchill refers to the superb fighter pilots of the Royal Air Force and the R.C.A.F. who defended Great Britain against the bombing raids of the Luftwaffe during the Battle of Britain in the fall of 1940. Most of those pilots were British, but there was a significant minority of Canadians, South Africans, Americans (all volunteers, w/o any authority from the U.S. Government, despite what some movies have said), New Zealanders, Irishmen, and a sprinkling of Australians. English that is technically correct is needed first and formost. Then everything else follows that. I don’t have any sympathy for those who complain about things being “technically correct”. The use of a hyphen following the prefix “co” has practically disasppered in North American Englihsh. (I am including Canadians, too.) The hyphen is needed for such things as “co-op”, in which the omission of the hyphen gives a different word – and one with fewer syllables, too. coaxial, cocaptain, codirector, codriver**, coeducation, coefficient, cofactor, cohabitate, colinear, colingual, colocate, comanager, comingle, cooperate, copilot, coplanar, coprime, coproduce (in industry), coproducer (in show business), coresponsible, coterminus, and covalent. **In some long-distance car races, such as transcontinental ones, each car has to codrivers, with one driving while the other one rests, sleeps, eats, etc. coefficient, cofactor, colinear, coplanar, and coprime are all terms in mathematics, and there might be more that start with “co”. Two numbers are coprimes whever that do not have any common factors besides 1, and an example of this is 16 and 27. Two people are colingual whenever they speak at least on language in common. If two different railroad lines end in the same city, or even in the same railroad station, then they have a coterminus.